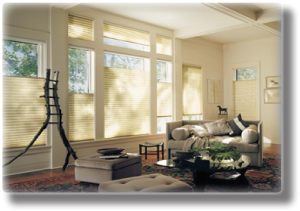 Bettertex Interiors has been providing top quality custom shades for over 20 Years. From Roman Shades which include, Flat, Pleated, Aventura, Cascade, Tulip, Balloon Shades etc, to Solar/Roller and Blackout shades; we do it all and we love to do it. Our team will guide you from A to Z in choosing the right type of shade along with the perfect fabric. Hunter Douglas Products – As a verified Hunter Douglas dealer, Bettertex supplies all Hunter Douglas Products at great prices along with our qualified installers to measure the windows as well as install the Shade/Blinds for you. 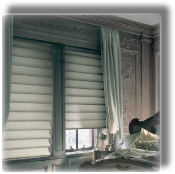 For a full line of the products they offer, please visit Hunter Douglas Products. When it comes to wood blinds – Bettertex offers countless colors to choose from, that way we perfectly match them to the rest of the room. Faux Wood Blinds are also available. All wood blinds are custom made according to specification and details requested. Our manufacturing facility is proud to be serving and providing shades and Blinds to some of the most creative architects and designers in NYC. We invite you all to get started on any Shade today by filling out our Free Estimate Request Form or giving us a call today at 212-431-3373!